Bobby James Awards 2015 | Film: When Dinosaurs & Women Ruled the Earth (+Top 15 Movies) – BOBBY JAMES. I would agree, saying the cinematography featured in this motion picture added a level of authenticity to the film as a whole, and to the markedly powerful performances. 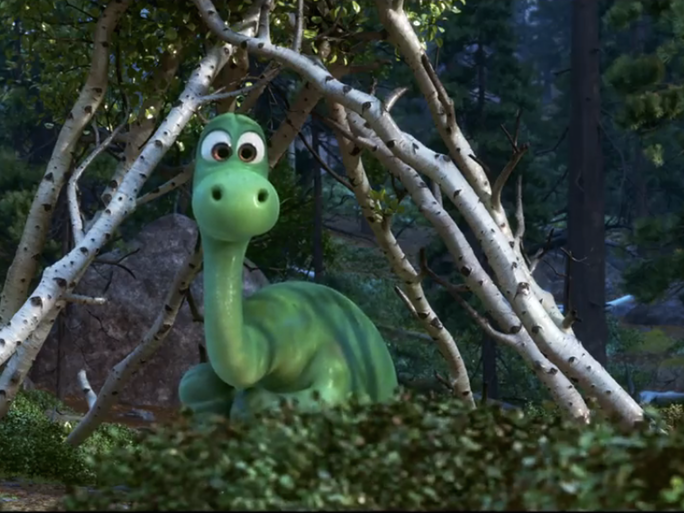 Disney•Pixar’s second animated feature of 2015, The Good Dinosaur, arrived in grandiose fashion. A simple, yet moving and thoughtful tale of a young Apatosaurus named Arlo was set against a wondrous and photorealistic backdrop. The landscapes in particular were central to a movie riddled with danger from the natural world – an antagonist in its own right. The world was unforgiving and the storms were harsh. Flash floods and thunderstorms, coupled with snow and a challenging, barren terrain added depth to the plight of young Arlo. The dinosaurs themselves were cartoonish, to stand apart from the realism presented in their background – but the attention to their detail was breathtaking – from the vivid color, to the intricate web of scales (visible in close up). 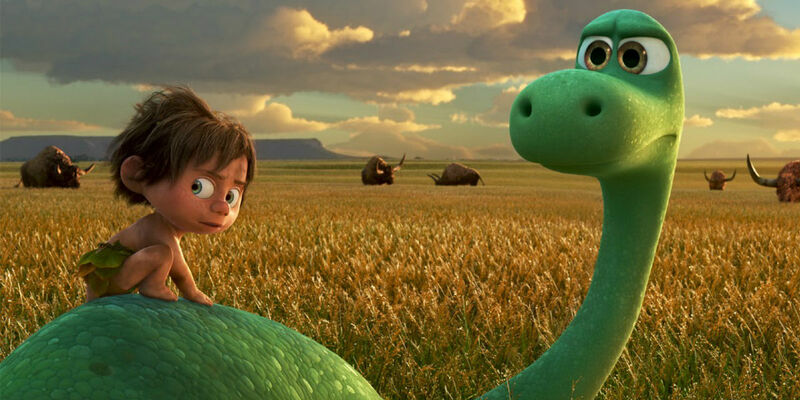 From an artistic point of reference, The Good Dinosaur stood above its competition. 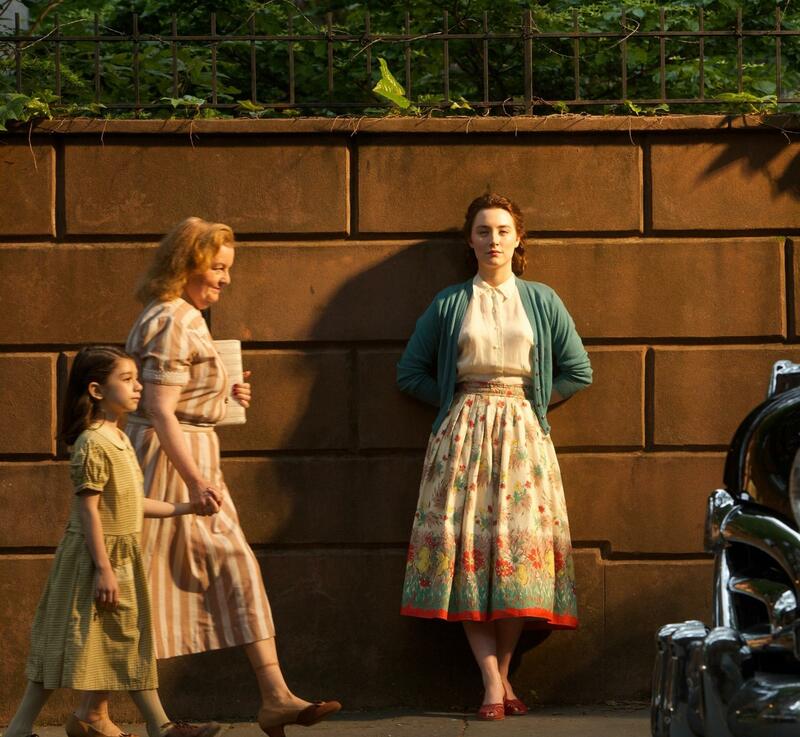 Since screening Brooklyn in early November 2015, I’ve been unable to forget the incredible costumes – and the subtle details (like a bold red stripe). The story of an Irish immigrant arriving in Brooklyn, New York in the 1950s was a great adaptation and seemingly perfect movie. The costuming played a big role in that. I feel as if they honored Eilis’ (Saoirse Ronan) countryside heritage, while incorporating her into her new, urban environment. Much like its predecessor, Jurassic World delivered on all fronts as they related to the visual and special effects. 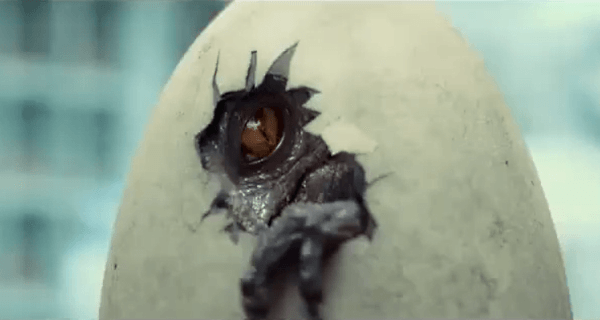 The team behind Tim Alexander created a new genetic hybrid – the Indominus Rex. The Indominus, from its moment of hatching to the terror it wreaked on Isla Nublar, was a magnificent and thrilling sight to behold. Best of all, it was believable – and terrorizing – to think a dinosaur like that could one day roam the Earth (hey, I can dream, right?). Behind the Indominus was a supporting prehistoric cast (Velociraptors, Tyrannosaurus Rex, Mosasaurus, Apatosaurus, Anklyosaurus, etc.) that looked wonderfully advanced to match the technology. Jurassic World‘s predecessor made strides in this department, while paying homage (in the Apatosaurus death scene) to Stan Winston (the man behind the animatronics in Jurassic Park). The result was a complimentary sequel feature that would establish a new franchise and break box office records (sit down Star Wars fans). When was the last time you recall a two hour movie keeping you in suspense the entire time, while pumping your body full of adrenaline consistently? If you can only recall one, it’ll probably be Mad Max: Fury Road. The pacing of the film was frantic and thrilling. Sixel’s work was sweat-inducing, without being fatiguing – that’s a great compliment to her editing abilities. 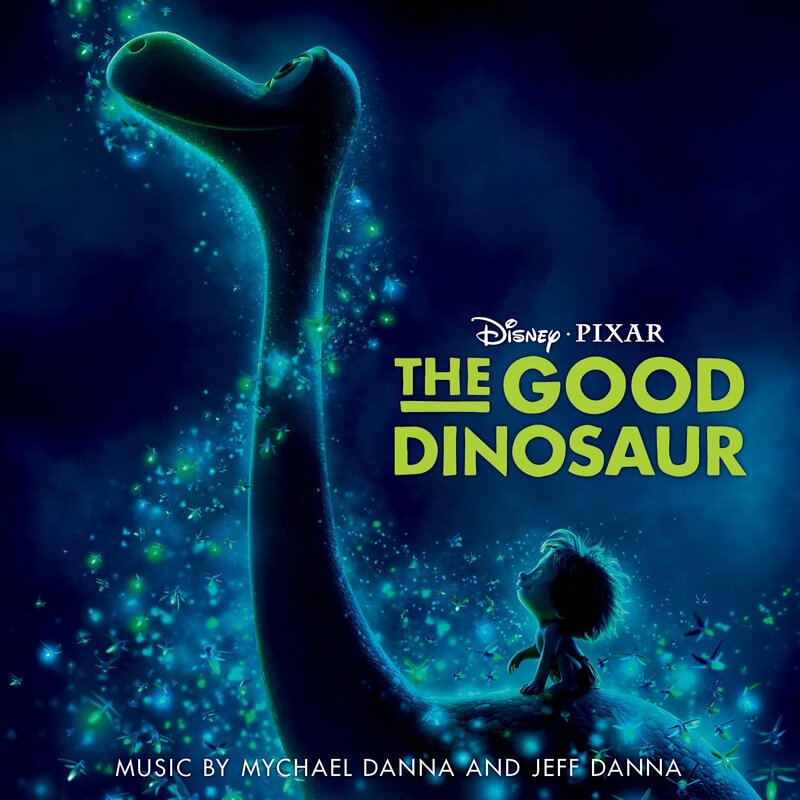 In a first ever tie for this category, I guess one could say, “When dinosaurs ruled music?” I adore the score from The Good Dinosaur by Jeff and Michael Danna. I belive it to be a recognizable accompaniment to what I hope will be a classic one day (mark my words, it will be – it’s a gem). When paired with the visuals, the score assumes a life of its own – and tells a tale that signifies success and failure, heartbreak and triumph, hellos and goodbyes and friendship and family. It’s incredibly moving and represents Arlo well, especially when factoring in the unconventional instruments used. Like The Good Dinosaur, Jurassic World plays to the heart. 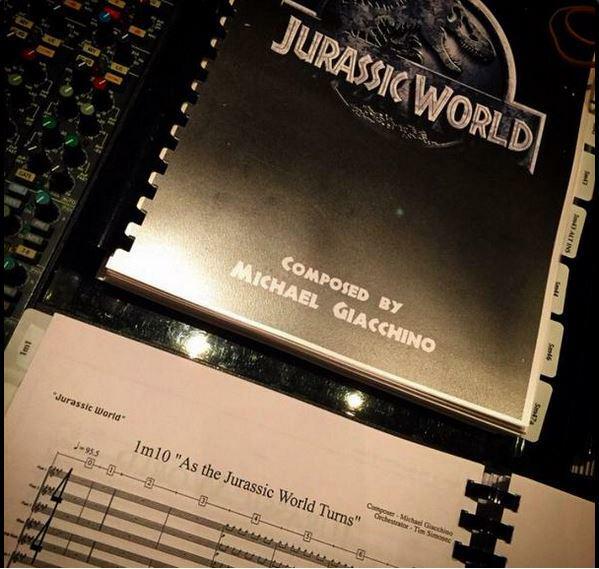 Michael Giacchino (whom you may recognize as the composer for Disney•Pixar’s Up) recycled and added to John Williams’ classic score for Jurassic World. It was a most nostalgic adventure into the new “world,” that spends a moment or two reminiscing in the “park” of days gone by. A piercingly powerful and emotive performance from Sam Smith captures this award for Spectre, the second Bond film to achieve this accolade (the first was “Skyfall” by Adele, from Skyfall). Smith’s soaring vocals are a perfect addition to Britain’s most well-regarded spy genre, which has come to expect something like this – a tone setting vocal performance that builds anticipation. The accompanying music video illustrates why. With 36% of the total vote, you chose Jurassic World as the Blockbuster Feature of 2015. The runner up (surprisingly, I would say) was The Good Dinosaur with 20%. I expected Star Wars, Mad Max: Fury Road or Jurassic World to take the top fan-voted prize. 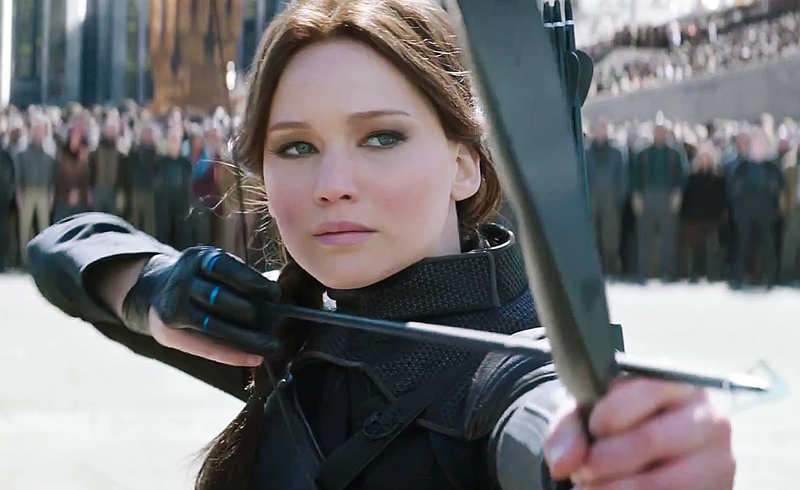 In a fitting franchise send-off, you chose “Katniss Everdeen,” the Mockingjay, as your Blockbuster Character. With 30.43% of the vote, Katniss beat out runner up “Claire Dearing” (Bryce Dallas Howard), from Jurassic World, who scored 21.74%. 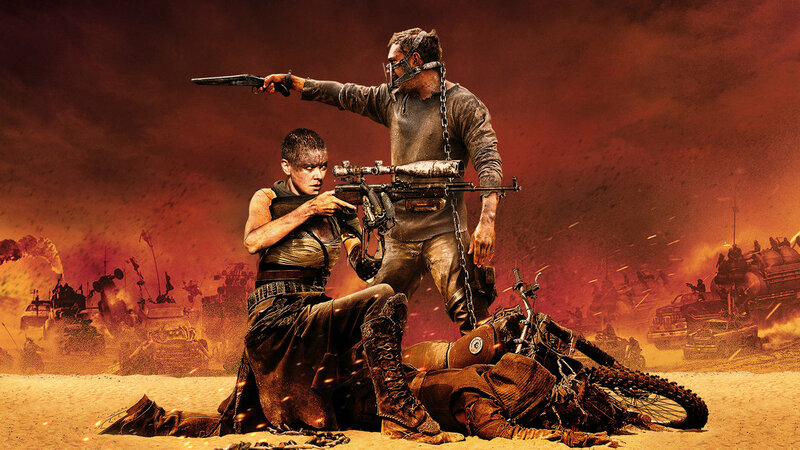 I expected “Furiosa” (Charlize Theron) to be recognized here, actually. Fun-Fact: This is “Katniss Everdeen’s” second win (of three nominations) in this category. She was previously nominated for her work in The Hunger Games: Mockingjay Part 1 and The Hunger Games: Catching Fire (she won this year, the inaugural year). The Indominus was a formidable foe, perhaps the most formidable in all of Hollywood in 2015. 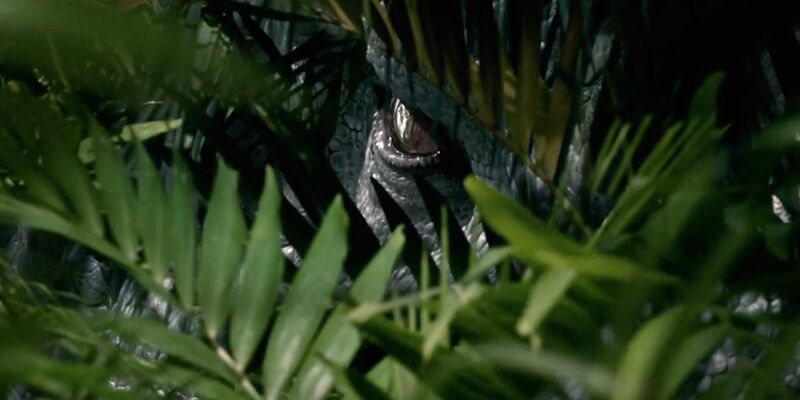 With 40% of the final tally, the Indominus is your Blockbuster Villain of the Year. The runner up? Another surprise – “Scarlett Overkill” (voiced by Sandra Bullock) from Minions, with 20%. Arlo is quite lovable indeed. 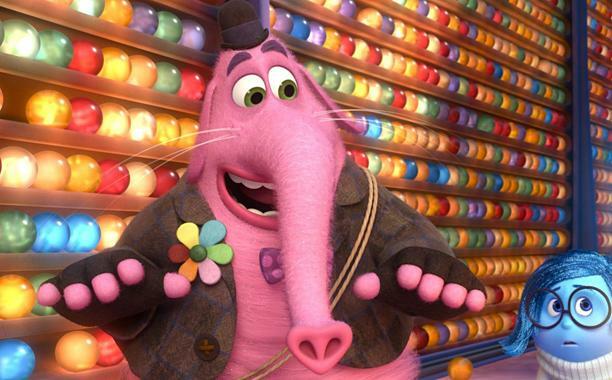 With 40.91% of the final tally, he is your most lovable animated character of 2015. In second place – or the runner up, rather – is Spot (voiced by Jack Bright) with 18.18%. I expected “Bing Bong” (voiced by Richard Kind) or “Sadness” (voiced by Phyllis Smith) to actually play well here. I’m surprised, but very happy. With 25% of the final vote, each, you’ve opted to recognized The Hunger Games Mockingjay Part 2 and The Good Dinosaur in this category. The runners up were “Brian and Dom” (Paul Walker and Vin Diesel) from Furious 7 with 20%. Honestly, this is probably the biggest surprise. I figured this would be a runaway for Furious 7, but I was mistaken, though, in early voting, they did command the lead. Another pleasant surprise, I’d say. I loved “Bing Bong,” and that was partly because of his design – but mostly because of Richard Kind’s vocal performance. I longed for the character because of him – and ultimately, he broke my heart, while giving me pause to reflect on my own personal “Bing Bong-“like characters that I may have once known. Kind was endearing and genuine, mixed with a little bit of curiosity and hopeless optimism. I can’t recall the last time an animated character was so hilariously depressing. 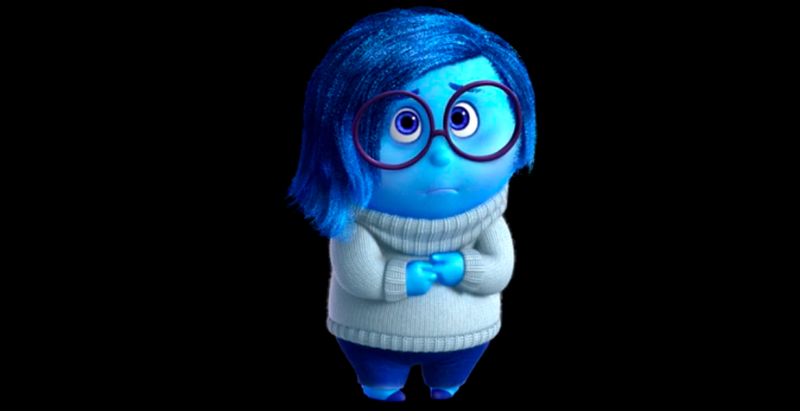 Phyllis Smith did a wonderful job voicing “Sadness.” She seemed so perpetually unhappy, until a little nuance in her voice said there was hope. Her journey of self discovery – and the vocal intonations of that discovery – will be well-remembered for decades to come. 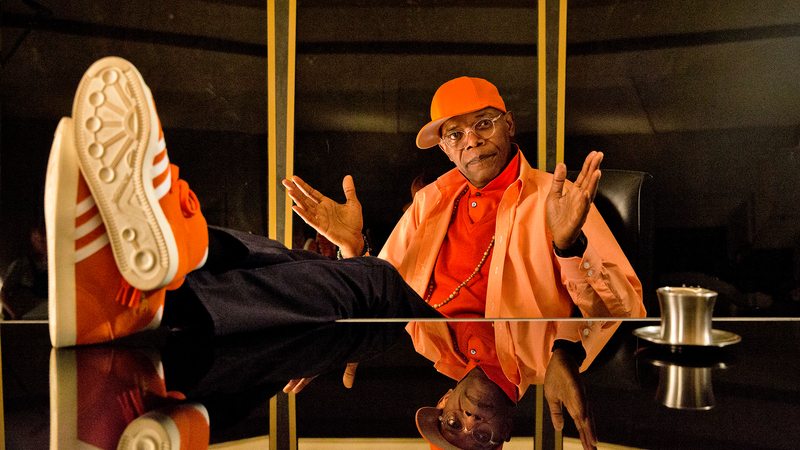 It’s unusual that a comedic role takes a top acting honors, but in 2015, Samuel L. Jackson’s presence was undeniable, especially in Kingsman. A technical mastermind with a plan to destroy the world and rule whatever of it remains, Jackson was superb. His lispy delivery and facial expressions did the work for him in this over-the-top, smart performance. In 2015, Alicia Vikander was seemingly everywhere, leading and supporting, but one her greatest roles to date came as “Ava,” the Artificial Intelligence creation that threatens mankind’s continued existence. Vikander gave a chilling and haunting performance that’s not soon to be forgotten. 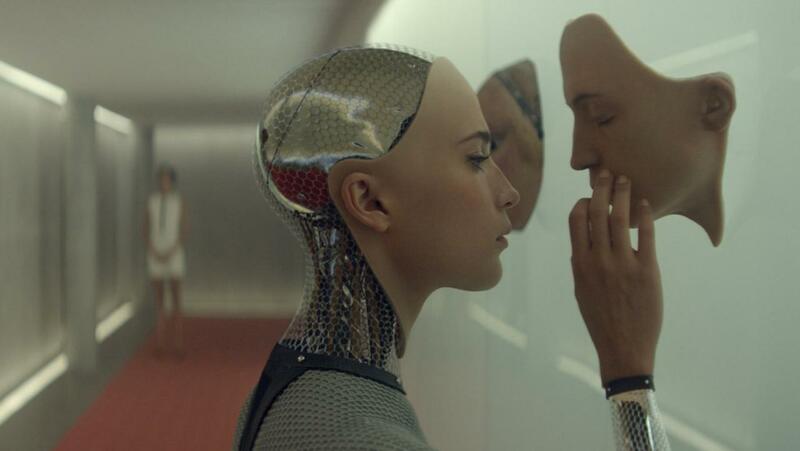 Throughout the course of Ex Machina, she replaced insecurity and uncertainty with emotion and confidence. It was a thrilling transformation of a robot ready to blend into life. Animation is one place where child actors can thrive (despite there being a mass presence of strong child actor performances in 2015). 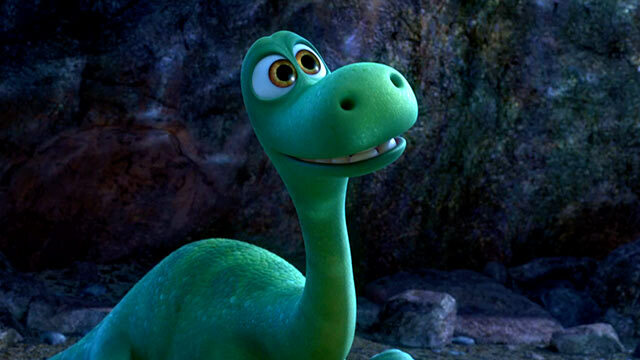 The Good Dinosaur served as such a place for the voice of “Arlo,” a young Apatosaurus and main protagonist. Ochoa gave life to a character that I’ve fallen deeply in love with. The essence of “Arlo’s” heightened senses is captured perfectly in the voice of Ochoa. I felt and connected with the wonder, sorrow, amazement, heartbreak and triumph. Amy Poehler gave “Joy” life in Disney•Pixar’s Inside Out. She was an energetic presence and the ultimate optimist in all of 2015’s films. Her excitement was only tempered by Riley’s (voiced by Kaitlyn Dias) downward spiral into depression – and at the end, she came to embody compassion and be tempered by “Sadness” (voiced by Phyllis Smith). “Joy” was a wondrous little sprite-like woman and I can honestly say, her raw energy was unmatched. 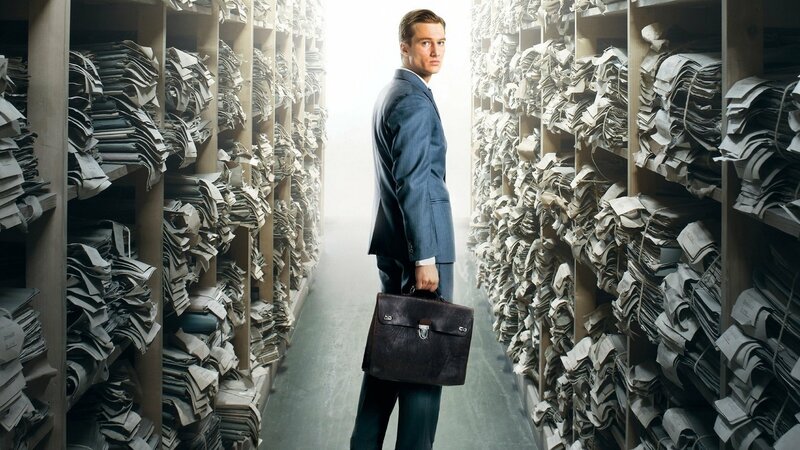 “Johann Radmann,” as portrayed by Alexander Fehling, is the German prosecutor tasked with bringing German war criminals to justice some fifteen years after the conclusion of World War II. Fehling registers the characters optimism early, and later defeat and frustration, in one of the genre’s most riveting performances. Physically he breaks while trying to force a nation to face its past. It’s a painful process, but one that doesn’t need subtitles to be understood – because it’s viscerally human. 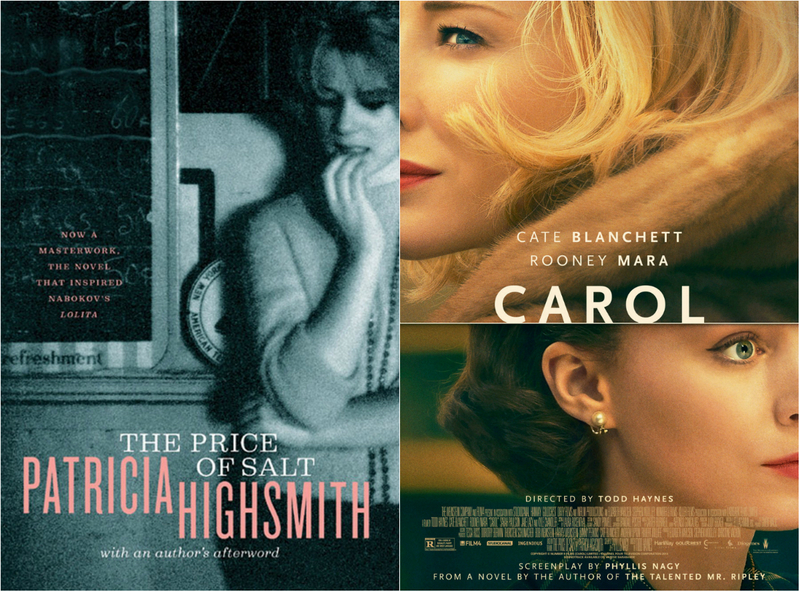 Carol seems so visceral, in large because of Phyllis Nagy’s adaptation of Patricia Highsmith’s The Price of Salt. 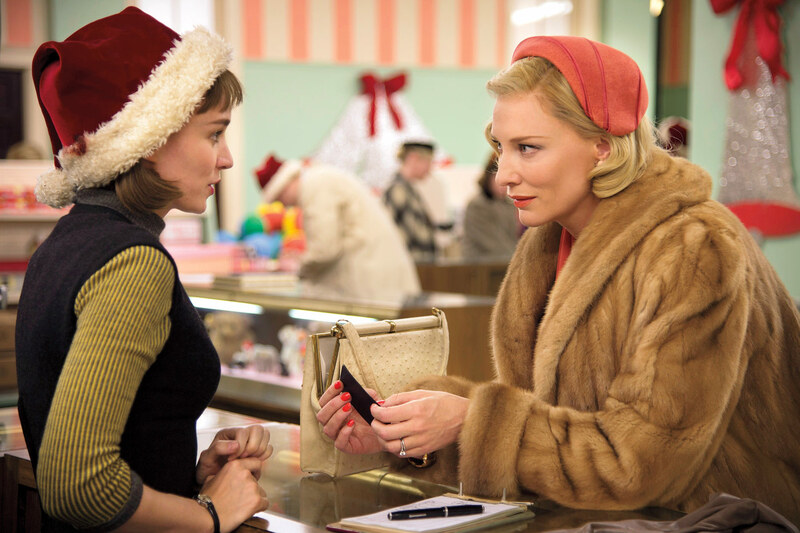 A love story set in 1950s New York, Carol is smart, timely, sensual and important. 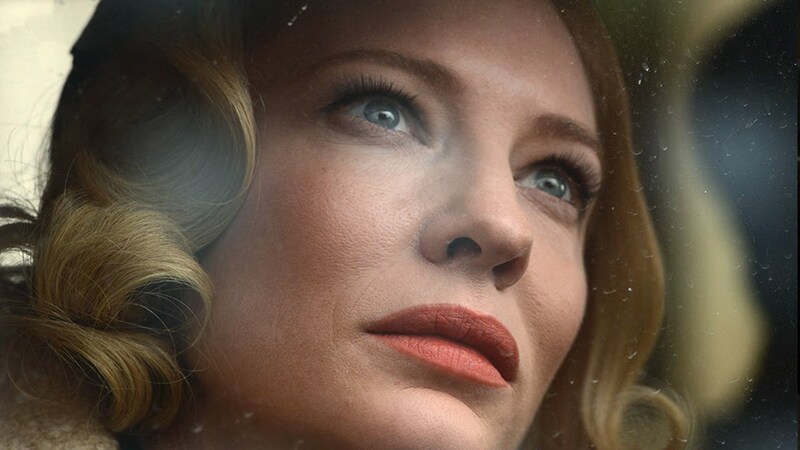 The dialogue and arc between Carol Aird (Cate Blanchett) and Therese Belivett (Rooney Mara) is what I consider to be one of the most significant since Brokeback Mountain, however, the ending is a welcomed sight to behold – as it’s beautifully scripted, and a turning page in mainstream gay cinema. Inside Out becomes the first animated feature to score a screenplay win in the Bobby James awards! The Pete Docter-directed animation is wildly intelligent – and from my point of view, one of the most original concepts/stories to emerge from Hollywood in recent years. 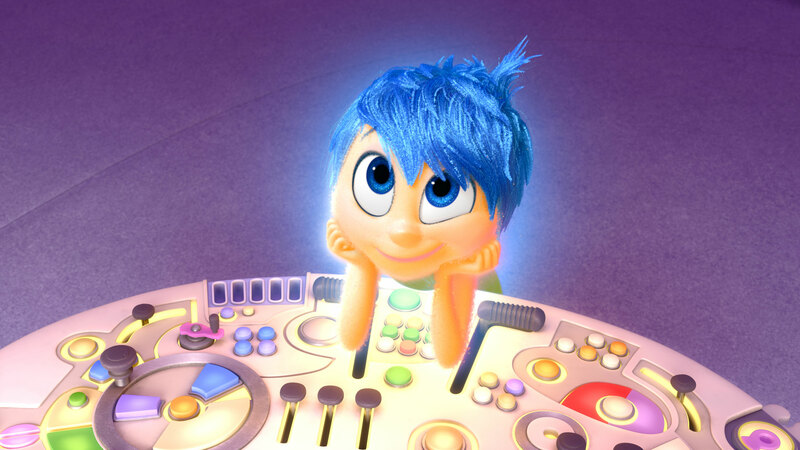 When news broke of Inside Out‘s creation, the former psychology student inside jumped for joy (no pun intended). I was curious to see how I’d react – and I must admit, this movie was fascinating on so, so many levels. I was particularly drawn to the film’s ideas of cognition, especially the thought of memories fading into an abyss. It gave me pause and made me wonder about what I’d forgotten – and if I ever had a Bing Bong. 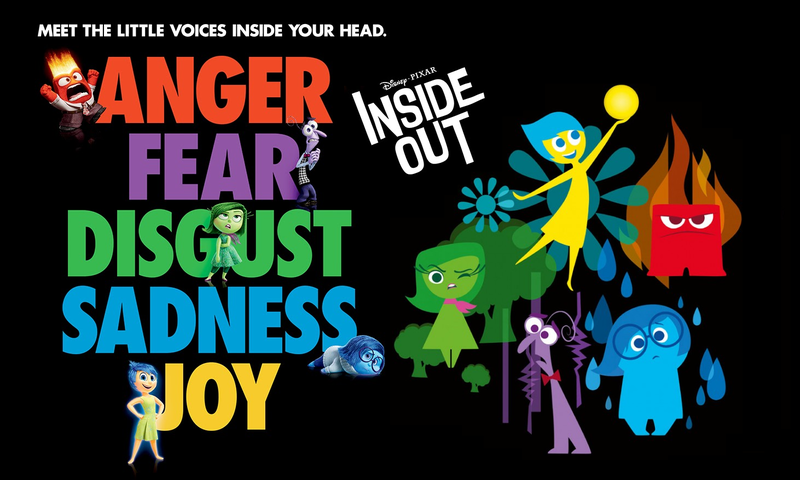 Inside Out is sure to be one of Disney•Pixar’s most celebrated and beloved stories. I grappled with this decision for a solid two weeks or more – and the fact is, I can’t choose just one – and I think that’s okay. Eddie Redmayne broke my heart as the conflicted “Einar Wegener/Lily Elbe.” I longed for resolution throughout Redmayne’s incredibly dynamic and physical performance. 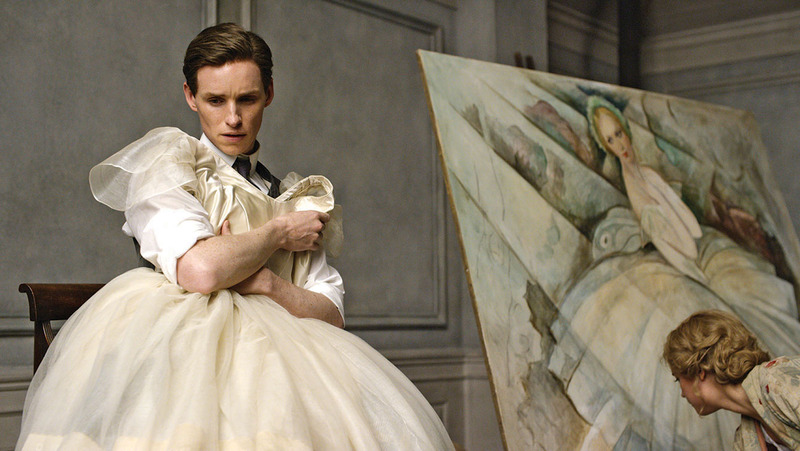 From his mannerisms to his vocal manipulation and ultimate transformation, Redmayne was a star. By the end, my thoughts were in so many places that I couldn’t fully process what I’d just seen and I didn’t know how I felt exactly. What I did know though, was that I felt compassion for “Lily,” and that’s a credit to a great performance. 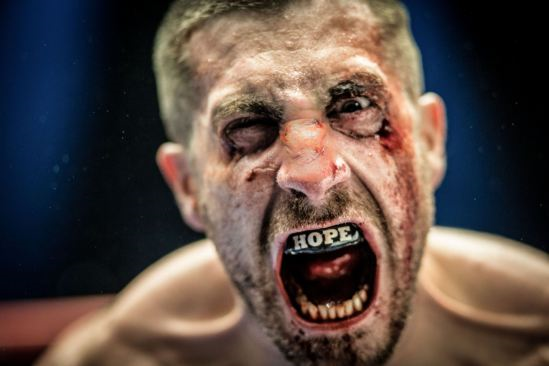 For his role in Southpaw, Jake Gyllenhaal underwent such a clear physical transformation. What was more surprising was the grittiness he brought to the role. A consistent talent, Gyllenhaal is always on my radar, but this year was the year that I identified him more as the character (in this case “Billy Hope”) than as the actor. Last time that happened was when he broke out as “Jack Twist” in Brokeback Mountain. His slurred and mumbled lines gave the illusion that he was a desperate, broken man looking to return to prominence – to reclaim the throne he sat atop so long. His performance is dramatic – and I believe him as this character. In Carol, Cate Blanchett gives a gripping and powerful performance as “Carol Aird.” She provides such depth and poignancy through much of the film – and by the end, she gives viewers the satisfaction of knowing that “Carol” is a strong and evolving woman – and that she’ll be alright. A great deal of what gives Blanchett’s performance a push to the top is what’s being said with an eye shift, or a slight and joyous smile. Her face is magnificent and this role could be a study in minimalist style. 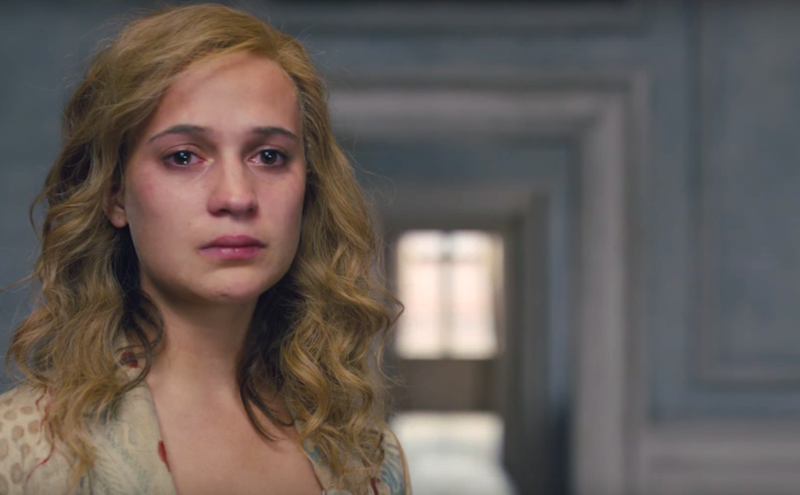 Like Carol, The Danish Girl has such depth to its female lead – one that registers believably with Alicia Vikander. As the wife of the increasingly estranged and conflicted Einar Wegener (Eddie Redmayne), Vikander is fighting an uphill battle as a woman in 1920s Copenhagen. An emerging artist in her own right, she discovers her perfect (most successful) subject – “Lily” – and in that moment, begins to incrementally lose her husband. That loss tempers any excitement “Gerda” may have otherwise had – and the pain and anguish we see – her struggle and absence of resolution – is heartbreakingly and hauntingly obvious. 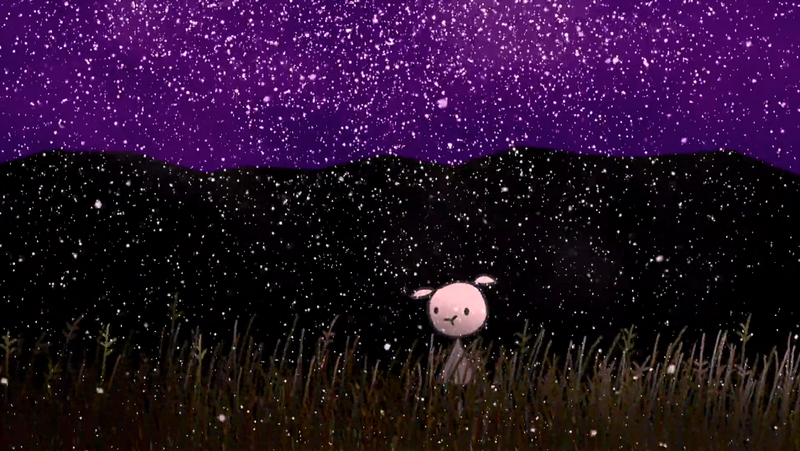 Don Hertzfeldt’s World of Tomorrow is a gripping exploration of what’s to come. Imagine a world where women birth clones of themselves, to preserve their own lives for generations to come. It’s a mind-bending, but entirely captivating 16 minute journey into the future. What’s particularly intriguing is the thought that we could “save” or “preserve” everyone – but at what cost or level of discomfort? There are some great questions asked by this film – and one striking wonder: Is this really the world we want tomorrow to be? Carol is an outstanding cinematic landmark, especially for queer cinema and its characters. Building upon the trend I recognized in last year’s recipient (The Way He Looks, Brazil), Carol presents us with emotionally gripping performances and a should-be simple, yet complicated story of love. The most significant gay/lesbian feature since Brokeback Mountain (2005), Carol is the story of two women who dared fall in love with one another in 1950s New York. Brilliantly shot and directed, the film gives us a peek into the “moral” oppression of the times – and the human ability to rise beyond it. 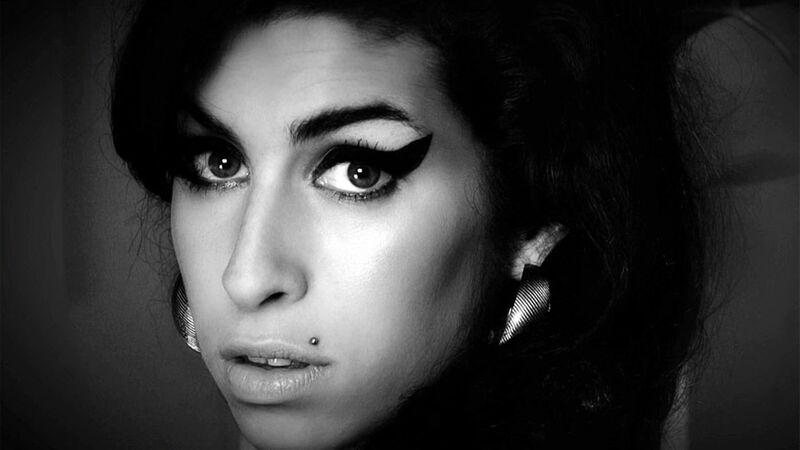 Many loved the musician that was Amy Winehouse – now, Asif Kapadia gives viewers a look into the person that was Amy and the toll of sudden stardom. A great documentary, to some, is one that presents “balance.” However, I believe a great documentary will raise questions – and not always be required to answer those questions – because in choosing to create a documentary, one begins with a bias – and a narrative in mind. What makes Amy so powerful is Kapadia’s ability to show us the woman that was, while asking the viewer why, by essentially turning the camera to inspire reflection. Disney•Pixar has created a situation – and two movies that I adore, for different reasons. 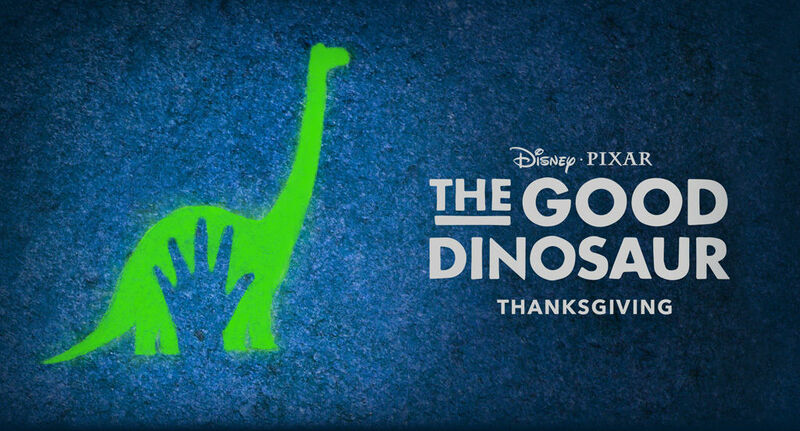 Perhaps my personal favorite of 2015, The Good Dinosaur, is an inspired, yet original dinosaur tale. The photorealistic backdrops are a testament to the abilities of the animators at Disney•Pixar and the capabilities of computer animation. 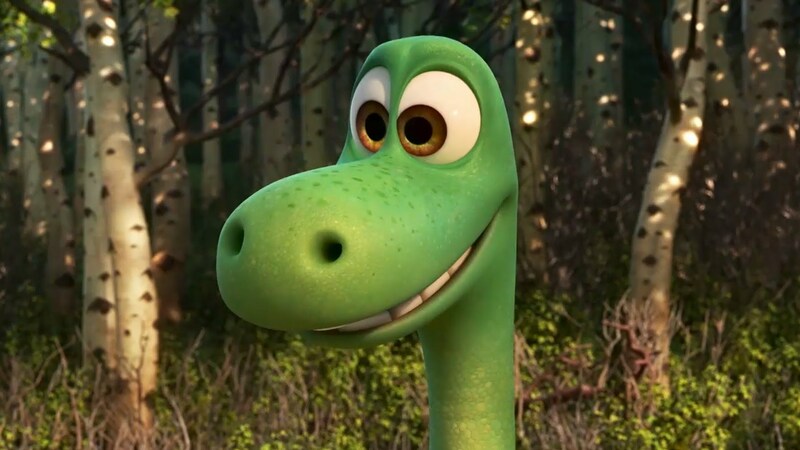 The story, of a young Apatosaurus named “Arlo,” is one of the simplest, most straightforward of they year – and also one of the most dynamic and captivating. 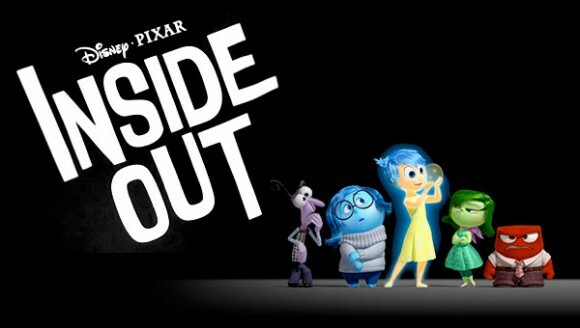 Though, harsh reality – and real emotion – was presented earlier in the year with Inside Out. Pete Docter and Ronnie Del Carmen gave us the incredibly original and mesmerizing story of Riley. The idea of exploring such a brief period of time, as told by the emotions in “Command,” is intriguing in it’s own right. When one considers the emotions’ journey, through memories and different parts of the brain, one may realize the depth and creativity behind it. It’s beautiful – and the animation is quite a sight to behold. The characters are endearing and in the end, we’re given a movie that visually appeals to children, but also to the adult mind. I must admit, this decision surprised even me, but as much as I love Carol, The Good Dinosaur and Inside Out (all of which I’d heavily favored for this award), I can’t think of a time when I’ve ever seen a movie that bombarded me with action and sustained suspense for its entire run time. George Miller’s masterful Mad Max: Fury Road is one of 2015’s essential cinematic pieces. That said, the post-apocalyptic vision and editing achievement, coupled with calloused performances and a heavy, thrill-seeking score made for one of the most exciting movies. I think Miller took an innovative approach to direction and gave us a film that sure to be praised in the coming decades for its appeal. In a year when women ruled the box office and there were powerful performances and characters at every turn, Todd Haynes gave us Carol. 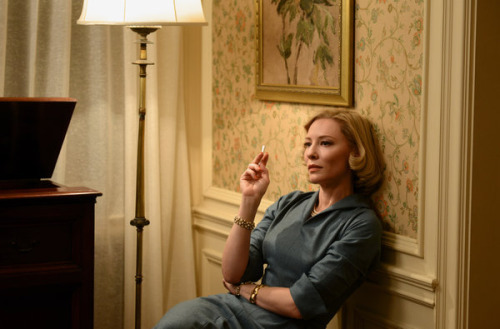 Carol Aird (Cate Blanchett) is a bold and daring woman in 1950s America. She is a freethinker and an independent spirit. Supported by her strong and feminist friend Abby (Sarah Paulson) and newfound love Therese Belivett (Rooney Mara), Carol navigates the challenges of society to find happiness. Her sacrifice is heartbreaking, yet liberating and refreshing. Todd Haynes’ film stands out in a very crowded year, as a romanticized vision of New York and an important piece of cinema, especially queer cinema. He presents three-dimensional characters (a rarity in queer cinema) that happen to be women, and that aren’t ruled by men or motherhood. I’d say it’s groundbreaking on many levels – and that it’s a gorgeous cinematic wonder. I’m proud of Carol, and happy to name it my Feature Film of the Year. Fun-Fact: Representative of a paradigm shift, 56% of my Top 15 are movies that feature strong female characters at the heart of their stories.